Can Amazon truly become a mobile payment power? One longtime Wall Street financial analyst tracking retail says Amazon may indeed be positioned to disrupt mobile payments just as it has disrupted retail. Our columnist isn't so sure. In the U.S., mobile payment schemes are numerous (Walmart Pay, Target Pay) but only a few have gained any traction (Apple Pay, Samsung Pay, Chase Pay, Vodafone Pay). But one longtime Wall Street financial analyst tracking retail says Amazon may be positioned to disrupt mobile payments just as it has disrupted so much of retail. The big hurdle for American mobile payments has simply been that what they are supposed to replace (payment cards, both in store and online) are far more durable than many had hoped. In stores, the swipe of a plastic card is relatively effortless, is accepted almost everywhere and is a comfortable learned behavior. There's little that argues for using mobile instead. The benefits have generally been trivial and simply insufficient to get shoppers to make a drastic behavioral change. Had mobile payment backers been willing to break heresy and offer shoppers a steep discount for going mobile — as in "Buy this with your plastic Visa card and it's $50. Buy the identical item with mobile payments instead and it's $30" — you'd have mobile payment share-of-payment at 70% to 80% rather than the anemic 5% to 11% being seen today. Not to overload the argument, but even those numbers are soft. A fair chunk of those payments involves Samsung Pay and its ability to mimic a magstripe payment, thereby allowing it to be used by a much larger range of phones and be accepted almost anywhere Visa is. It's not a full-fledged mobile payment, and EMV is undercutting its growth. But with all of this as a backdrop, Deborah Weinswig sees a different mobile payments future with Amazon on top. Weinswig is a longtime retail analyst for Citi who today works as the managing director for Fung Global Retail & Technology, which bills itself as a retail think tank. 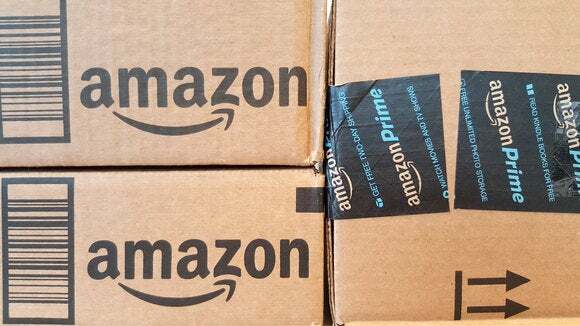 "Amid the debris left by multiple failed payment platforms, Amazon possesses a huge installed base, with more than 310 million active customer accounts worldwide and more than half of U.S. households holding a Prime membership, which is why we see promise in Amazon and mobile," Weinswig said. "Despite the ubiquity of smartphones, the mobile payments market is a nascent, fragmented one in the U.S., divided by technology platforms, closed systems and consumers’ reluctance to transition from a well-established system based on credit and debit cards. "It is logical that Amazon would eventually turn its focus to this market, as it has huge advantages in terms of customers’ comfort using its retail platform, its platform-agnostic technology and its enormous installed base of existing customers," she said. "Amazon wins customers with the convenience and ease of use of its platform, even on occasions when it does not offer the lowest price. The company has more than 310 million active customers who are already comfortable with using Amazon’s payment methods, and the company can likely leverage this customer base to conquer a fragmented U.S. mobile payments market." Let's take a look at Amazon's likely role here, but to do that, we first need to split this discussion into two distinct categories: in-store/offline and e-commerce/online. Critically, mobile devices can move between those two categories — and that's one of the complicating factors. From a technological point of view, online payments are easier to master. Note, I didn't say easy, but easier. All of the hardware complexities — NFC, QR codes, magstripe emulation, EMV, etc. — are avoided. In a neutral world, this would give Amazon a major advantage because it would be platform (iOS, Android, Blackberry, etc.) agnostic. Today's online world, though, is far from neutral. Some 20 years of e-commerce have already made repeat online purchases close to effortless. If a shopper repeatedly goes to one e-commerce site, he or she will have likely already stored a version of their payment credentials, making payment easy. Amazon's theoretical online advantage is when shoppers need to go to a site they have never purchased from before. Would that initial log-in to Amazon's site be much more difficult than a one-time keying in of the card details? Quite likely it would be, especially if the transaction is bounced to the Amazon app, where Amazon supports various biometric authentications that many smaller sites wouldn't. Amazon's approach, though, would be to convince a shopper to purchase the item through it directly. After all, if this is a site the shopper has never used, there's unlikely to be much brand loyalty. So much for offline. The real opportunities — today, at least — are in-store. It's unlikely Amazon would want its mobile app to directly communicate with the store's POS system — via NFC or QR code, for example — because that would expose it to the same limitations every other mobile wallet has faced: most merchants still cannot support NFC. The more likely Amazon approach is through the cloud where its servers would send a message via the network to a store's POS system, saying that a transaction has been paid for/tendered. Again, this limits Amazon's in-store potential to stores that are willing to set up such a network system. Anti-fraud concerns would loom large. Both approaches require retail investment (either a POS upgrade or software changes to their network), and that's the problem. Many merchants, especially smaller ones, don't see much of an ROI from doing much beyond accepting payment cards with their existing systems. Without a compelling reason for shoppers to support this approach (see deep discounts), merchants won't be risking much by not participating, any more than retailers who resisted Apple Pay haven't paid a revenue price. Amazon has proven resourceful in the past, but I'm not seeing a clear path for it to make any major changes in how much U.S. shoppers do business any time soon.